Wade and Son Builders are a third generation family building company. We are a well established independant company in the Ferndown and surrounding areas. We are known in the area for our expertise and creativity with all the work that we have carried out. 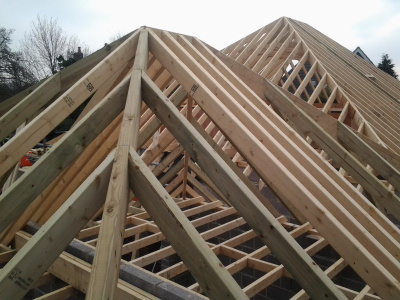 Once you use Wade and Son Builders for any building, loft conversions or extensions you will always come back due to the high quality of our work. All our customers can only speak highly of the professional work we do and the way it is carried out. Please feel free to contact us for a free quotation and if you have already had a quotation would you like a comparison. 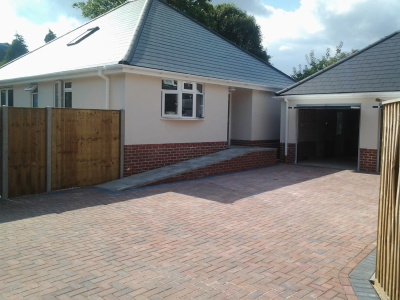 We can cover all aspects of building work no matter what you are looking for. We are here to help you from having the stress to move and have higher mortgages to pay by saving you money with your own building project. Trying to find trust worthy tradesmen and the arranging of materials for your project could be hard which is why we can help this whole process be that bit less stressful.We can help bring your dream home into reality in any of the .We have over 20 years experience in the building trade in Bournemouth and from family’s previous generations who were also in the building and property development market, we know what it is like to deliver to our customers and satisfaction is our number one concern when carrying out any work. Wade and Son Builders have been providing carpentry services to private individuals, trade and industry specialists for over 20 years. We provide professional, friendly and reliable carpentry services and take great pride in our craftsmanship and clean and tidy work ethos. Our residential and commercial carpentry services include: Roof work - we specialise in cut and truss roofs Loft conversions Fitted kitchens Door installation House refurbishment External cladding Roof strengthening work All our work is fully insured and comes guaranteed providing complete peace of mind of quality workmanship and high standard finish. Our friendly and professional team can assist you with all types of residential electrical services such as fitting new lights, RCD protection, choosing the correct components for your installation and helping with a required test & inspection. Extra sockets, television and telephone points Full or partial rewiring Consumer unit upgrades with RCD safety protection to 17th edition Inspecting and testing of existing wiring Garden power and lighting Low energy and LED lighting systems FREE lighting design service Free Estimates Electricians You Can Trust NICEIC approved Proud members of Checkatrade Peace of Mind, Guaranteed We offer a 12 month 100% guarantee on all our workmanship and parts.